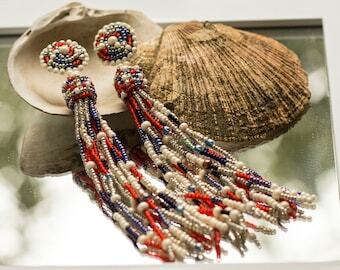 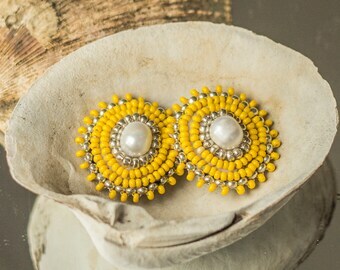 These pearl fringe statement earrings are a great example that upcycled materials can create a fabulous piece of sustainable jewelry. 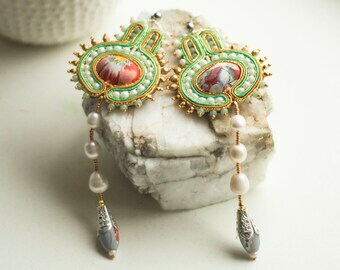 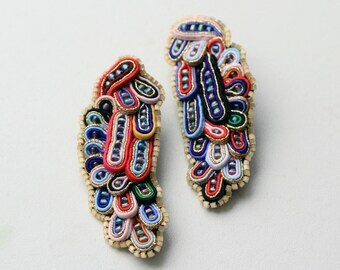 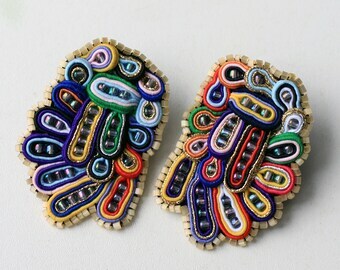 Such soutache earrings represent responsible usage of materials and maturity towards our surrounding environment. 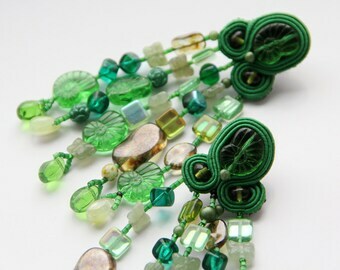 I as an artisan try not to waste materials but rather find creative ways how to use them in my projects. 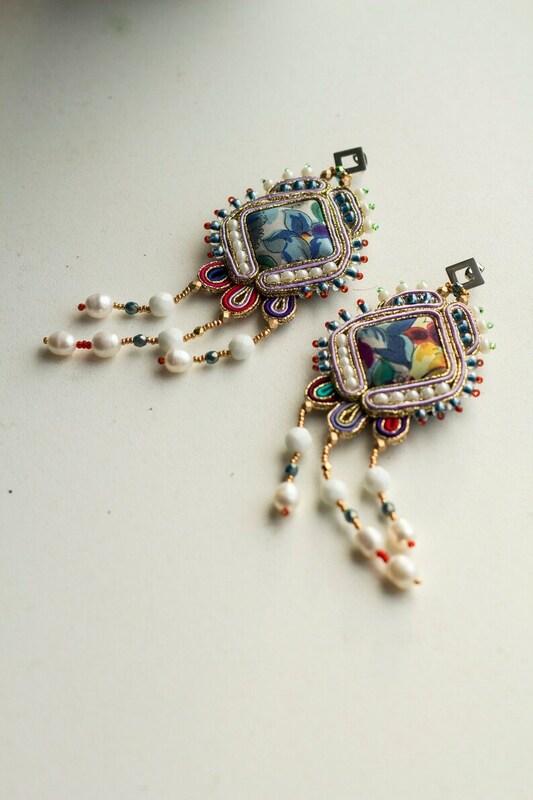 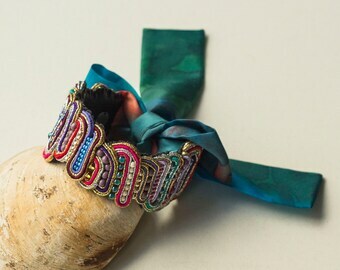 Unique and red carpet worthy accessory as by wearing them you will shine the brightest of them all and exude bohemian spirit. 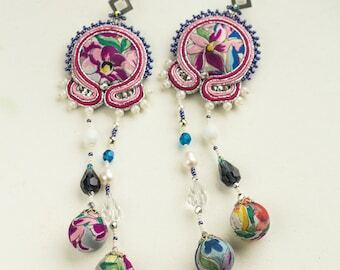 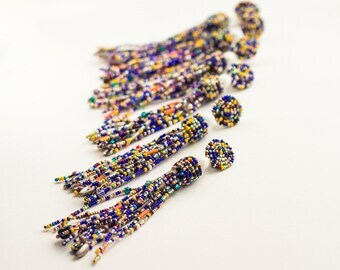 Rainbow colored earrings will make an excellent anniversary gift to spoil your beloved wife, girlfriend or an unique birthday gift for any special woman in your life. 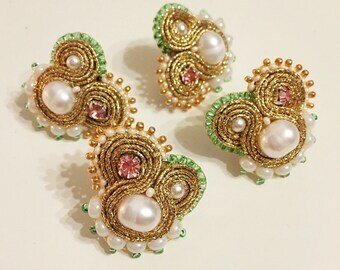 These silk and pearl earrings will be beautifully packed in a box with a ribbon ready to be presented as a gift for your beloved person. 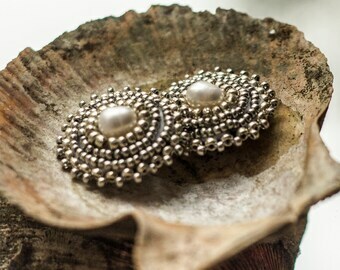 Listing only for ROMB slow fashion earrings.